There are one million things rushing through your mind when planning your wedding. When should we get married? Who will we invite? What dress will I wear? But one of the most important questions is ‘Where will we be married?’. Look no further than The Dana on Mission Bay. The winner of The Knot’s 2019 ‘Best of Wedding’ award, The Dana showcases the perfect tropical getaway to start the rest of your lives together. The Dana on Mission Bay has three picturesque waterfront wedding locations with breathtaking views, making us one of the most beautiful and highly recommended wedding locations in San Diego. 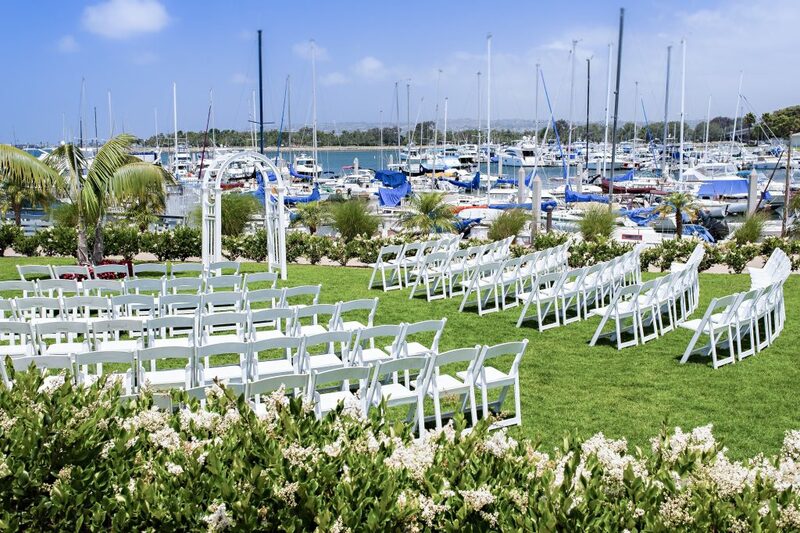 Immerse yourself in the romantic marina backdrop as you walk down the grassy aisle toward Mission Bay. This newly renovated lawn is surrounded by gorgeous roses, offers an astounding view of the hotel’s private marina, and can accommodate up to 300 guests. 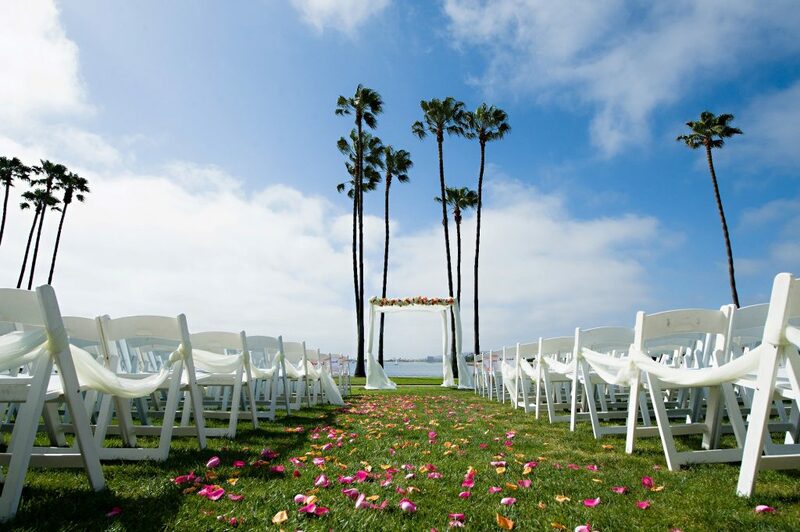 Located on Mission Bay’s Sunset Park, it’s obvious why the Sunset Lawn is the most popular wedding venue at The Dana. This ceremony site offers panoramic views of Mission Bay unparalleled during the day and at sunset and seating for up to 250 guests. 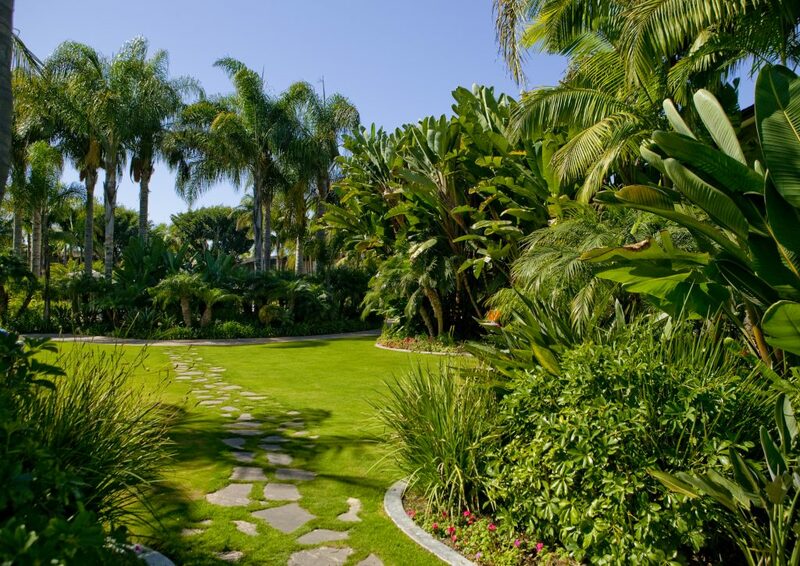 Nestled in the Tropical Courtyard, our enchanted garden is a serene setting for your San Diego wedding. This 1,500 square foot setting is surrounded by lush, tropical landscaping and can accommodate 120 guests. Contact our Sales Department at catering@thedana.com or 619-225-2112 now to inquire about planning the wedding of your dreams, at The Dana on Mission Bay.